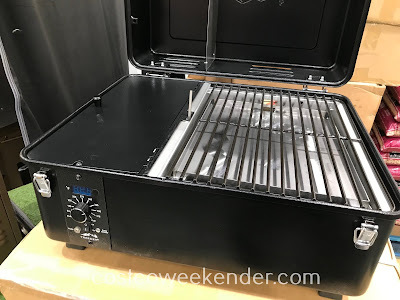 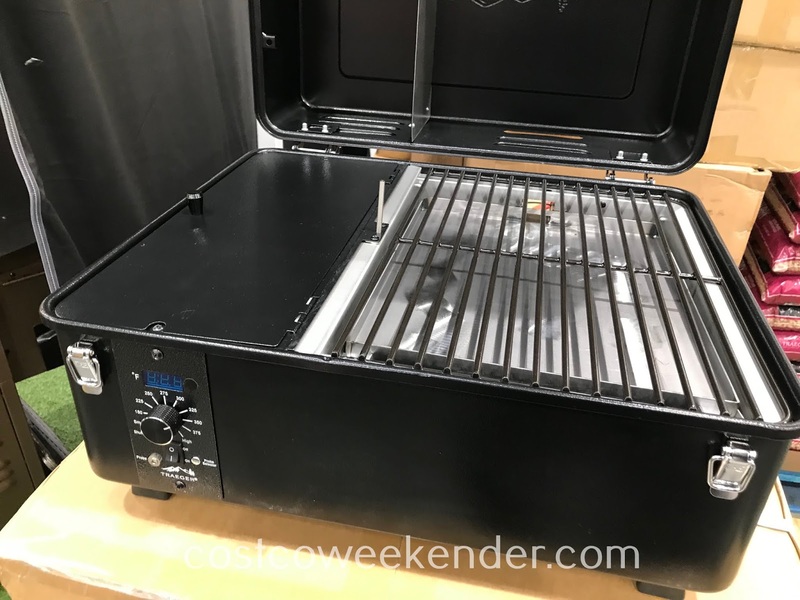 It's great to have a portable grill in addition to your regular size grill that you keep outside in your backyard or patio. 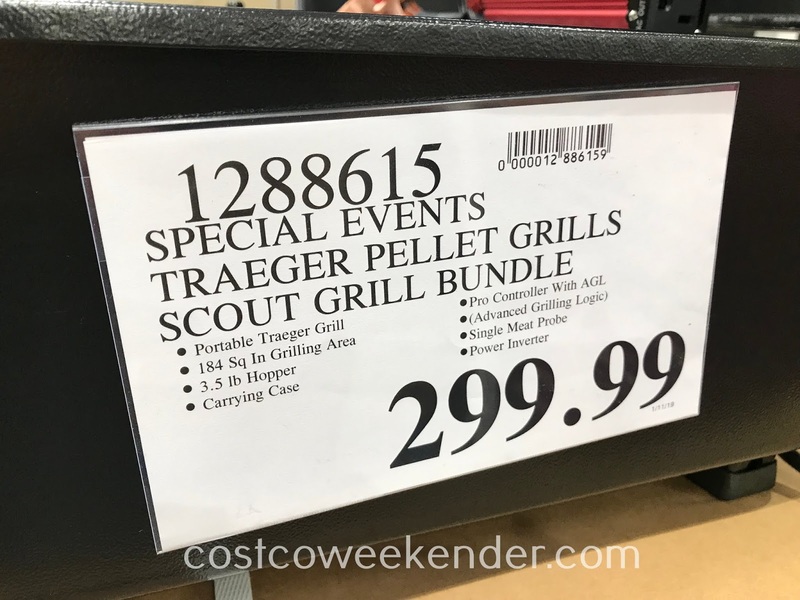 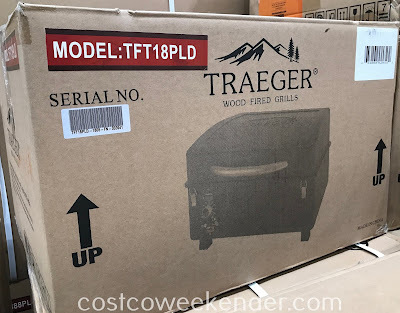 That's why Costco has the Traeger Scout Grill (model TFT18PLD). 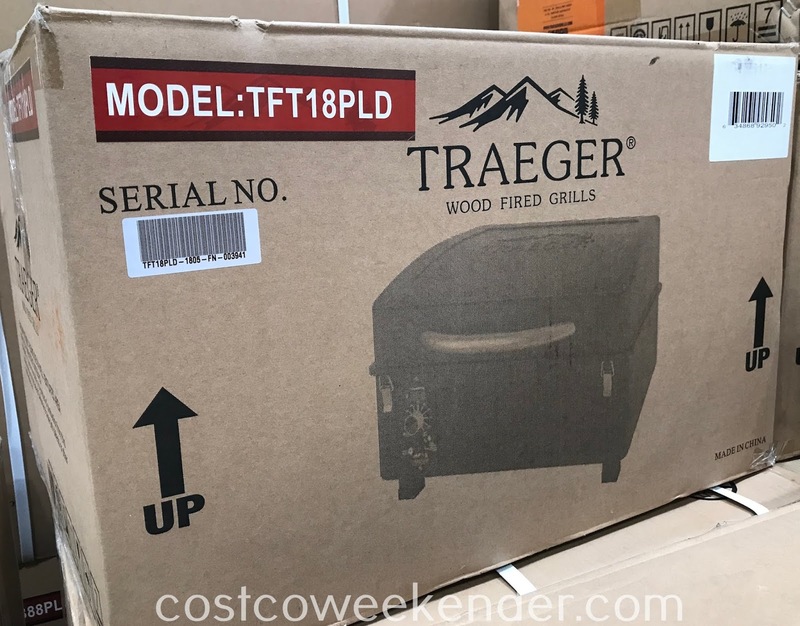 The Traeger Scout Grill allows you to take your cooking vessel with you when you go camping, tailgates, or picnics. 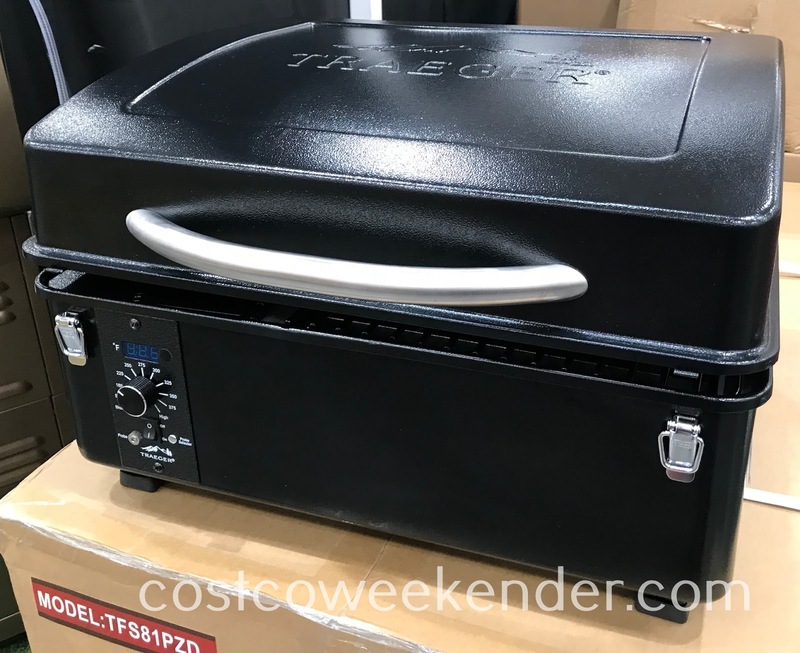 It has a large enough grilling area for steaks, veggies, hot dogs, hamburgers, etc. 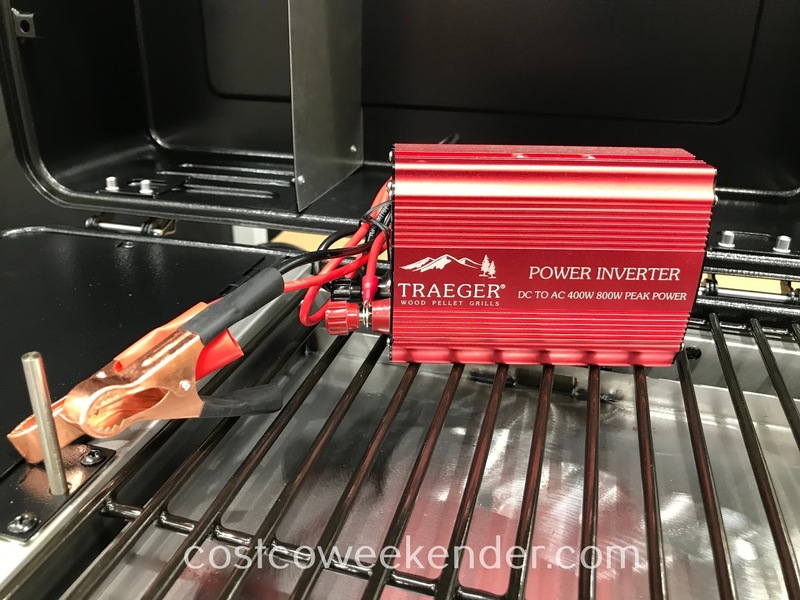 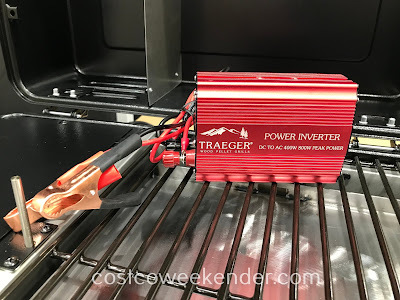 Although, the Traeger Scout Grill gives you that nice smoke flavor that you get from burning wood that you don't get from a gas grill, it doesn't have the same amount of clean up required from a regular charcoal grill. 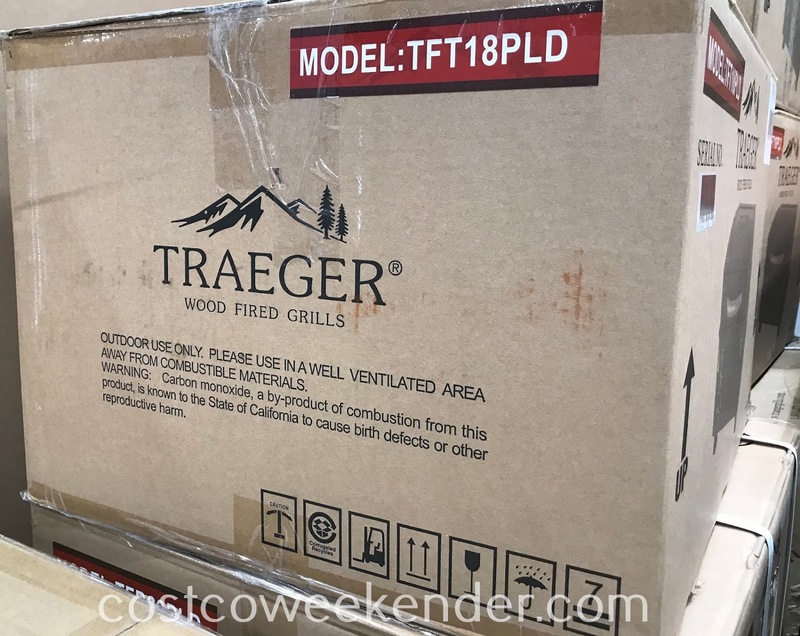 Surprisingly the wood pellets don't create a whole lot of ash compared to regular charcoal briquettes.